The Grand Luang Prabang Hotel is located on the banks of the grand Mekong River with a spectacular panoramic view of the picturesque mountains surrounding Luang Prabang, approximately 4 kms southwest of Luang Prabang town centre. 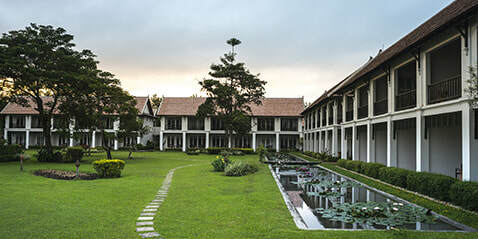 The resort is situated on the 59 thousand square meters’ estate of Xiengkeo Palace which belonged to the nationalist hero Prince Phetsarath. furniture to reminisce the heritage of the building. 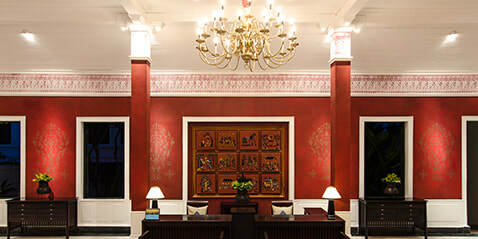 ​Breakfast as well as functions are held at Xiengkeo Restaurant, located beside the elevated banks of the Mekong River. 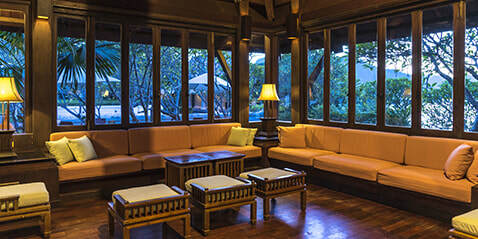 Our restaurant provides guests with the best of international cuisine featuring Western, Thai, and Lao recipes. The combination of its high ceilings, polished marble floors, stylish colonial architecture and a panoramic view of the Mekong River gives this is one restaurant that will provide guest with a unique dining experience.